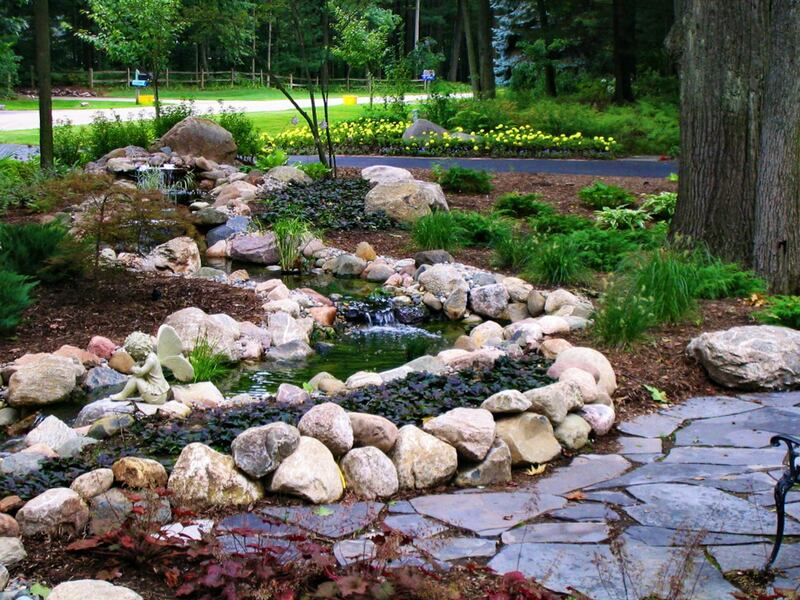 Whatever you’re dreaming about for your landscape, this is the ideal place to gain inspiration for your next project. 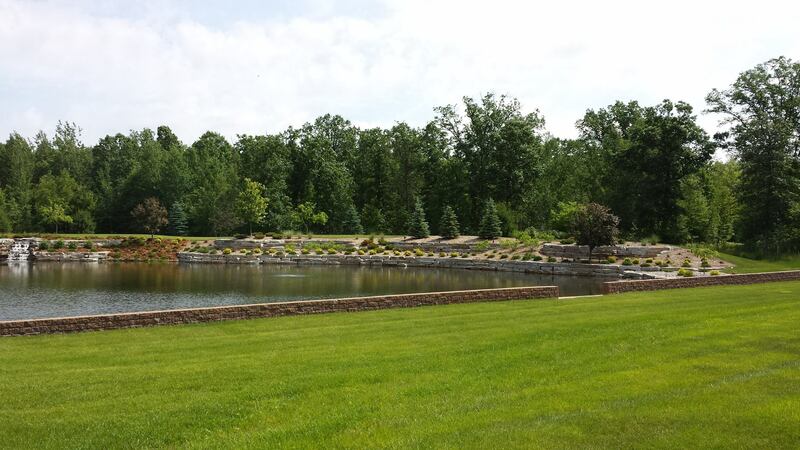 Reder is the most experienced landscape Company in Midland, Michigan, and we look forward to bringing your landscape ideas to life. 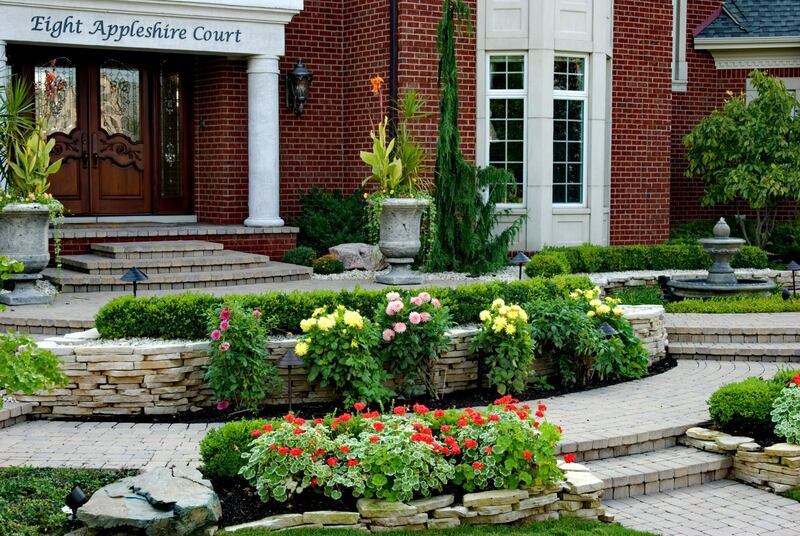 Here you’ll find images of beautiful landscapes designed and built by us. Click on the links to view more! If you are a staycationer or simply love to entertain friends and family, then a luxurious patio with ample space, seat walls, over head structure, pool or fire feature is what you need. 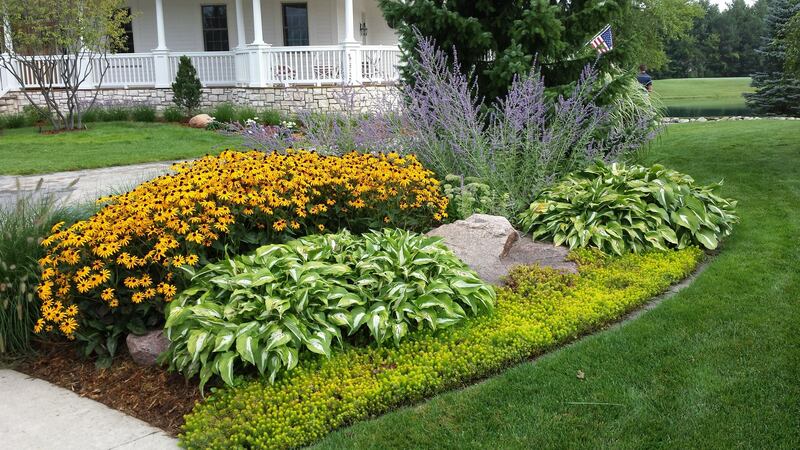 What makes a beautiful garden is unique to each person, undulating beds of low-maintenance perennials to wide paths of green manicured hedges. Before and after photos are simply the best way to dream without taking the leap, sometimes all it takes is a spark to start a fire! 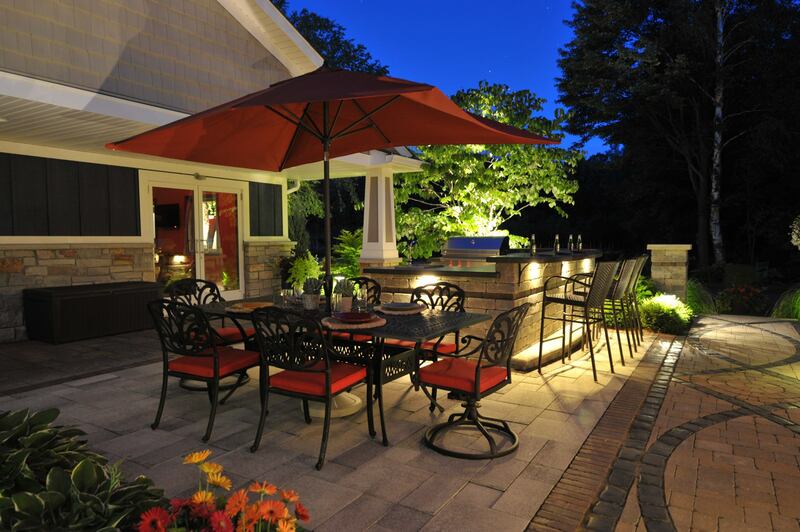 Once you have created the perfect landscape or backyard patio it is time to think about extending viewing or usable time and landscape lighting is the perfect way to do this. The first impression family and friends get of your home is your front yard and entryway, so why not make it a beautiful one? 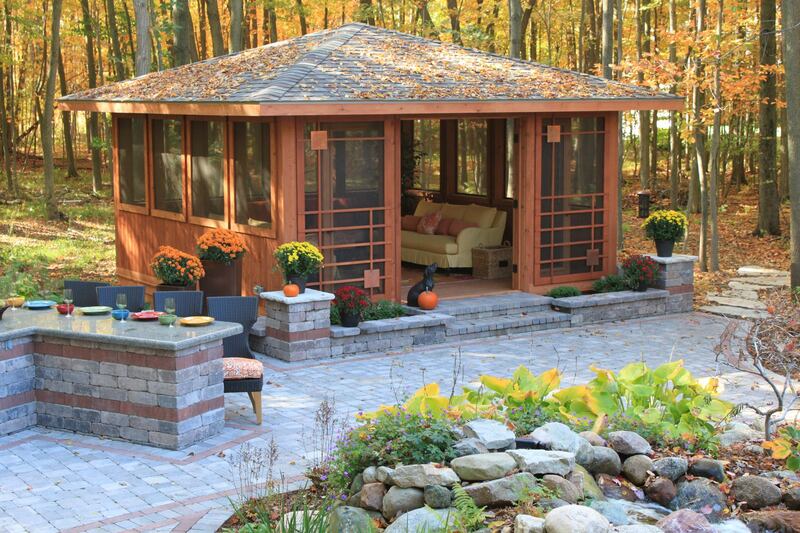 Decks, pergolas, and structures can give you much-needed space and structure in your backyard. 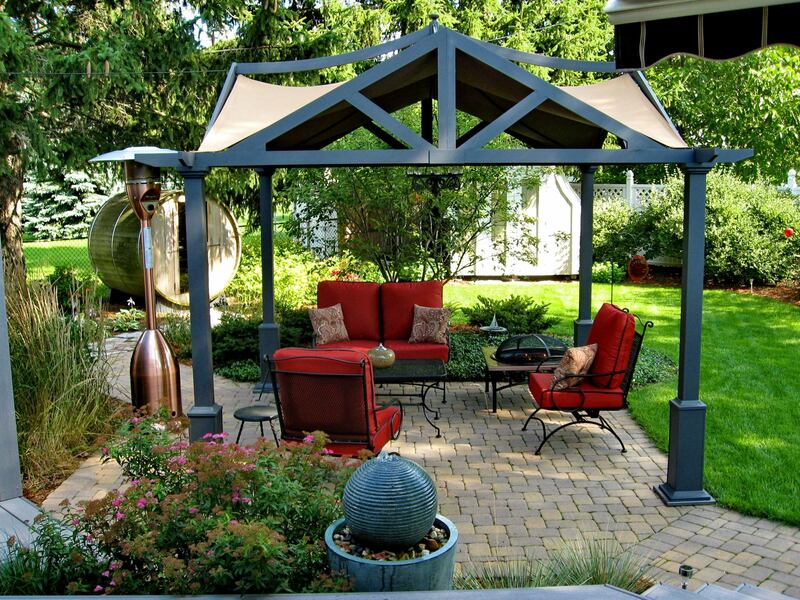 They can provide shade, cover your hot tub, define a space or simply move you through a garden. You couldn’t ask for a more calming space to read a book or have a conversation with friends or family then next to a soothing water feature. 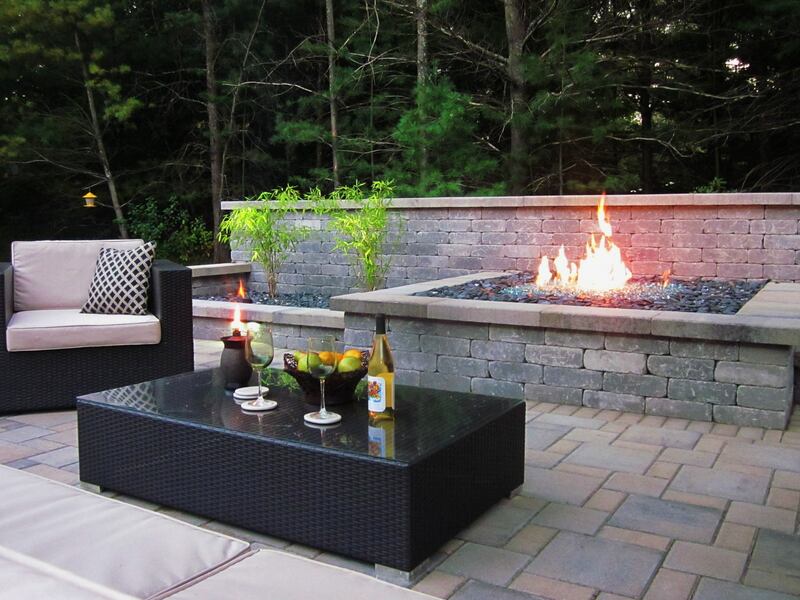 A warm, glowing fire on a cool summer night in Michigan can be the focal point of your backyard or a simple addition to any space. 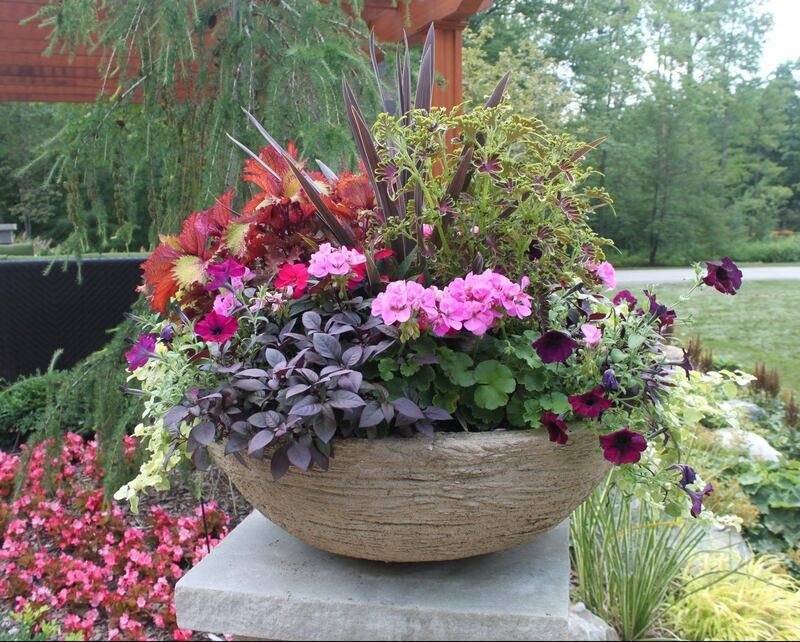 Container gardens add instant color to a garden, front entry or patio space. 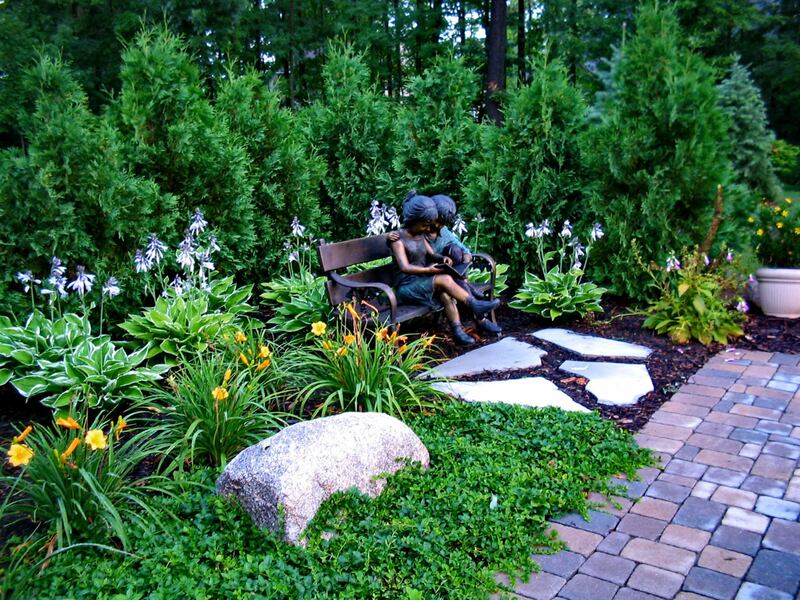 They can create a great focal point or simply a colorful addition to the garden. 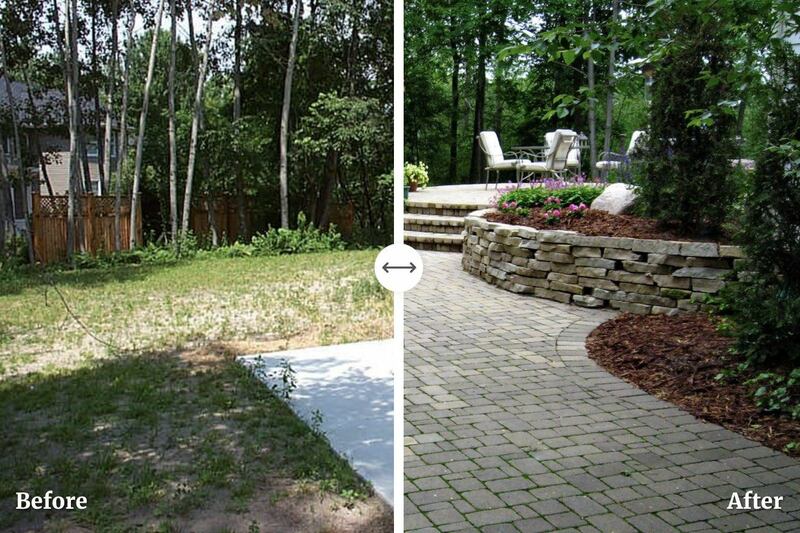 Creating the perfect oasis in your backyard can be overwhelming for most homeowners. 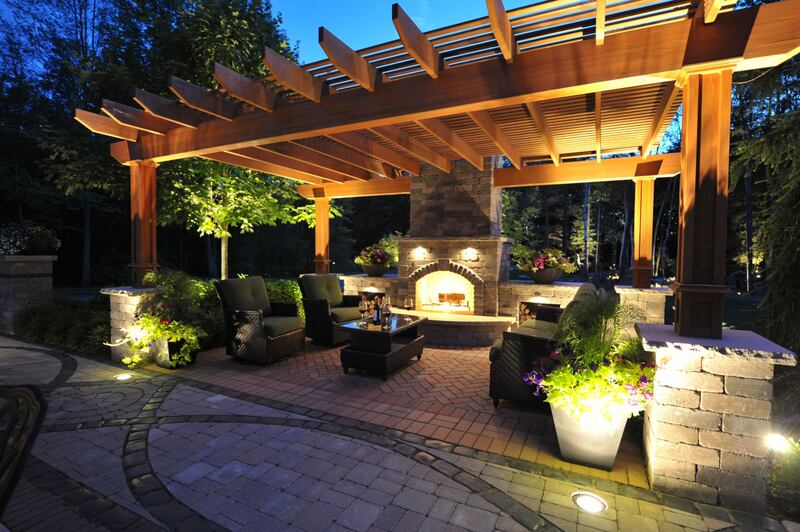 We understand what our clients are looking for in a backyard retreat and take pride in offering distinct ideas. 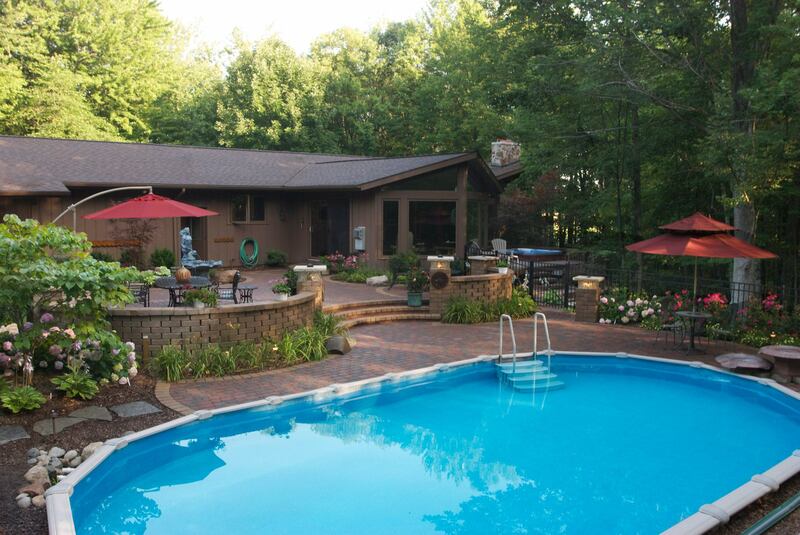 When you have your family or friends over for a gathering would you love to host them outdoors? These rugged kitchens are made from material meant to withstand the outdoor elements. From large scale, simple elegance to resort-level environments with all the features you’ve come to expect from faraway travel destinations. Whether your project is large or small, our talented design team applies the same design principles and eye for detail to every project, meaning the end result is gorgeous every time.